Liam Walsh (senior), talks about his experience as a member of Occidental College's soccer team in Los Angeles on Monday, Nov. 5, 2018. Victoria Winter/ The Occidental. Liam Walsh’s Occidental soccer career came to an end in the SCIAC Tournament Championship game Nov. 3 after an outstanding season. Walsh won the 2018 SCIAC Athlete of the Year award for his performance this season where he led the conference in scoring and captained the Tigers team that achieved their highest win total in school history. Walsh scored 31 goals and added 11 assists over his four years on the team. He regularly played on the right side of the field from the beginning of his career at Occidental and has played in 77 games for the Tigers. The program’s head coach, Rod Lafaurie, still recalls recruiting the veteran player and specifically how Walsh’s award-winning Occidental career nearly never came to be. Walsh also remembers the early stages of his Occidental career. He recalled his first session with the team, running his timed mile and eventually finding his home with the program and the school. Walsh did indeed see significant playing time in his first year, playing 20 games in a season where Occidental reached No. 21 in the nation on their way to reaching the SCIAC playoffs. Walsh earned all-conference honors for his performances in the 2015–2016 season and did so playing predominantly at right back, one of several different positions Walsh has played during his Occidental career. Lafaurie expressed how impressed he has been with Walsh’s development over the years. Walsh explained how he felt he has developed not just on the field but also away from it. One of Liam’s brothers, Ciaran Walsh, described how he had noticed Liam develop as a person during his time with Occidental and the soccer program. 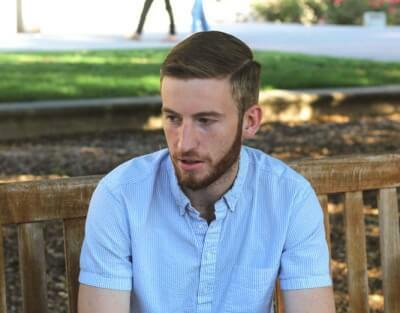 Liam Walsh, an economics major who is involved with both the Blyth foundation and J-term programs at Occidental, has admitted that he will be stepping away from soccer to pursue a career in either business or finance. “I think, for now, I’m definitely going to take a little bit of a break from soccer, but soccer will always be part of me,” Walsh said. Coach Lafaurie paid tribute to a player he feels is on the “Mount Rushmore” of the program’s history. While his Occidental career may be over, Walsh wanted to thank a number of different people, including his teammates and family, who have all helped to make his time as part of the program so special. “One thank-you is definitely to the coaching staff at Occidental for giving me an opportunity to be a part of this team,” Walsh said. This gratitude was reciprocated by his coach, who has witnessed all of Walsh’s 77 games, 44 wins and 31 goals. “I want to thank him for his trust, faith, and support and help in building this program, and though he won’t be a part of the Oxy soccer program officially anymore, I would hope that the Oxy soccer program will be a part of him forever,” Lafaurie said via email.